In addition to these applications, the 1140 is also well suited to measurement and control systems. 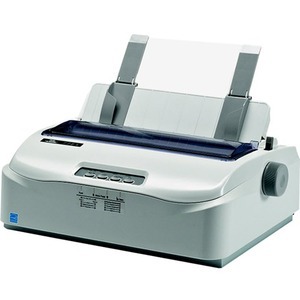 Among the lowest priced matrix printers available today, the 1140 also offers a long life ribbon giving this printer very low running costs. For draft printing it's considerably less expensive operating costs make it a viable alternative to low end inkjet printers. Media Size: 3.74" x 10.51"
Media Size: 4.49" x 14.25"
Media Size: 4.49" x 21.97"